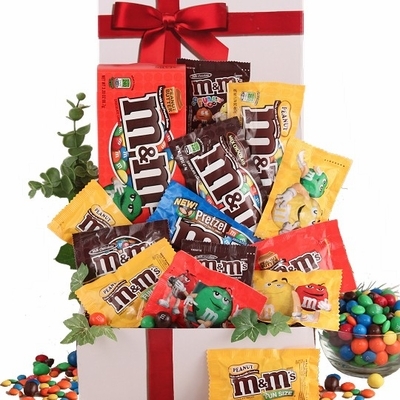 *Our Designers will create your gift using the freshest candy available. Other M&M's varieties as available. Encourage those boring study sessions back in the dorm rooms with our M&M’s Study Feast College Care Package. It will be one hand turning pages and the other hand popping those delicious M&M’s candies all the while the eyes are reading and the brain is actively pursuing knowledge; all because it’s being fed chocolate! College students love receiving gifts so become their hero and send some M&M’s their way soon!